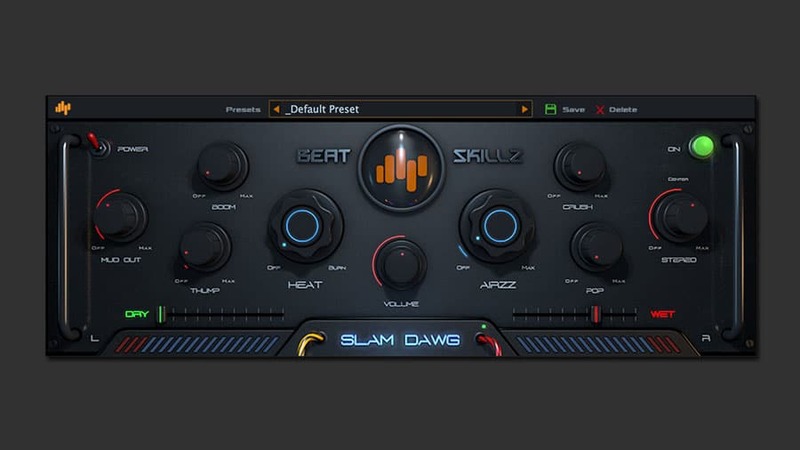 Plugin Boutique has announced the launch of a 90% off sale on the Slam Dawg audio processing plugin by BeatSkillz. Slam Dawg can get your mixes to sound pro with quick and easy controls. It easily “heat” up your beats, buses, tracks and entire mixes by easily dialing in Tube Harmonics, making your sounds full and rich. Widen your tracks with full mono compatibility in just one dial, or dial in some ‘Air’ – High-Frequency Clarity. Your tracks of today need great low-end management, and we have designed the perfect controls for that; just use the ‘Boom’, ‘Thump’ and ‘Mud Out’ controls to achieve huge low-end without any distortion issues. The ‘Pop’ and ‘Crush’ controls are perfect for increasing the loudness of a stem or mix, and also retain the ‘Pop’ of transients, whilst keeping the mix punchy via trusty compression! Slam Dawg is created by modeling the desirable cool settings of popular American and British compressors, EQs and Tube Distortion Units. Slam Dawg is available as VST, AU, AAX plugin for Windows and macOS. The 90% off sale is valid until April 8, 2019.